This book constitutes the refereed proceedings of the Cryptographer's Track at the RSA Conference 2019, CT-RSA 2019, held in San Francisco, CA, USA, in March 2019. The 28 papers presented in this volume were carefully reviewed and selected from 75 submissions. CT-RSA is the track devoted to scientific papers on cryptography, public-key to symmetric-key cryptography and from crypto- graphic protocols to primitives and their implementation security. 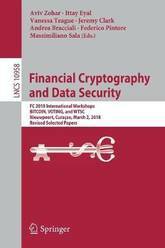 This book constitutes the refereed proceedings of 3 workshops held at the 22nd International Conference on Financial Cryptography and Data Security, FC 2018, in Nieuwport, Curacao, in March 2018. The 23 full papers presented together with 2 short papers were carefully reviewed and selected from 52 submissions. They feature the outcome of the 5th Workshop on Bitcoin and Blockchain Research, BITCOIN 2018, the Third Workshop onSecure Voting Systems, VOTING 2018,and the Second Workshop on Trusted Smart Contracts, WTSC 2018. The papers are grouped in topical sections named: Blockchain, Distributed Ledgers, Cryptography, Bitcoin, Voting, and Smart Contracts. This practically-oriented textbook introduces the fundamentals of designing digital surveillance systems powered by intelligent computing techniques. The text offers comprehensive coverage of each aspect of the system, from camera calibration and data capture, to the secure transmission of surveillance data, in addition to the detection and recognition of individual biometric features and objects. The coverage concludes with the development of a complete system for the automated observation of the full lifecycle of a surveillance event, enhanced by the use of artificial intelligence and supercomputing technology. This updated third edition presents an expanded focus on human behavior analysis and privacy preservation, as well as deep learning methods. Topics and features: contains review questions and exercises in every chapter, together with a glossary; describes the essentials of implementing an intelligent surveillance system and analyzing surveillance data, including a range of biometric characteristics; examines the importance of network security and digital forensics in the communication of surveillance data, as well as issues of issues of privacy and ethics; discusses the Viola-Jones object detection method, and the HOG algorithm for pedestrian and human behavior recognition; reviews the use of artificial intelligence for automated monitoring of surveillance events, and decision-making approaches to determine the need for human intervention; presents a case study on a system that triggers an alarm when a vehicle fails to stop at a red light, and identifies the vehicle's license plate number; investigates the use of cutting-edge supercomputing technologies for digital surveillance, such as FPGA, GPU and parallel computing. 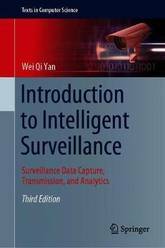 This concise and accessible work serves as a classroom-tested textbook for graduate-level courses on intelligent surveillance. Researchers and engineers interested in entering this area will also find the book suitable as a helpful self-study reference. Security and smart spaces are among the most significant topics in IoT nowadays. The implementation of secured smart spaces is at the heart of this concept, and its development is a key issue in the next generation IoT. 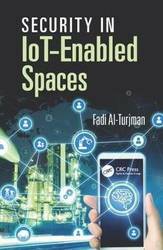 This book addresses major security aspects and challenges in realizing smart spaces and sensing platforms in critical Cloud and IoT applications. The book focuses on both the design and implementation aspects of security models and strategies in smart that are enabled by wireless sensor networks and RFID systems. It mainly examines seamless data access approaches and encryption and decryption aspects in reliable IoT systems. This book constitutes the revised selected papers from the 13th International Conference on Risks and Security of Internet and Systems, CRiSIS 2018, held in Arcachon, France, in October 2018. The 12 full papers and 6 short papers presented in this volume were carefully reviewed and selected from 34 submissions. They cover diverse research themes that range from classic topics, such as vulnerability analysis and classification; apps security; access control and filtering; cloud security; cyber-insurance and cyber threat intelligence; human-centric security and trust; and risk analysis. 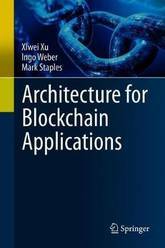 This book addresses what software architects and developers need to know in order to build applications based on blockchain technology, by offering an architectural view of software systems that make beneficial use of blockchains. It provides guidance on assessing the suitability of blockchain, on the roles blockchain can play in an architecture, on designing blockchain applications, and on assessing different architecture designs and tradeoffs. It also serves as a reference on blockchain design patterns and design analysis, and refers to practical examples of blockchain-based applications. The book is divided into four parts: Part I provides a general introduction to the topic and to existing blockchain platforms including Bitcoin, Ethereum, and Hyperledger Fabric, and offers examples of blockchain-based applications. Part II focuses on the functional aspects of software architecture, describing the main roles blockchain can play in an architecture, as well as its potential suitability and design process. It includes a catalogue of 15 design patterns and details how to use model-driven engineering to build blockchain-based applications. Part III covers the non-functional aspects of blockchain applications, which are cross-cutting concerns including cost, performance, security, and availability. Part IV then presents three detailed real-world use cases, offering additional insights from a practical perspective. An epilogue summarizes the book and speculates on the role blockchain and its applications can play in the future. This book focusses on the bigger picture for blockchain, covering the concepts and technical considerations in the design of blockchain-based applications. The use of mathematical formulas is limited to where they are critical. 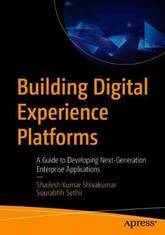 This book is primarily intended for developers, software architects and chief information officers who need to understand the basic technology, tools and methodologies to build blockchain applications. It also provides students and researchers new to this field an introduction to this hot topic. Design, develop, and deploy innovative forensic solutions using Python Key Features Discover how to develop Python scripts for effective digital forensic analysis Master the skills of parsing complex data structures with Python libraries Solve forensic challenges through the development of practical Python scripts Book DescriptionDigital forensics plays an integral role in solving complex cybercrimes and helping organizations make sense of cybersecurity incidents. This second edition of Learning Python for Forensics illustrates how Python can be used to support these digital investigations and permits the examiner to automate the parsing of forensic artifacts to spend more time examining actionable data. 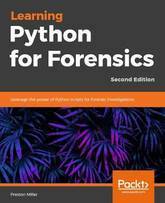 The second edition of Learning Python for Forensics will illustrate how to develop Python scripts using an iterative design. Further, it demonstrates how to leverage the various built-in and community-sourced forensics scripts and libraries available for Python today. This book will help strengthen your analysis skills and efficiency as you creatively solve real-world problems through instruction-based tutorials. 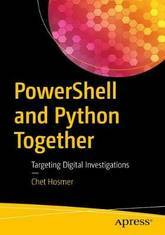 By the end of this book, you will build a collection of Python scripts capable of investigating an array of forensic artifacts and master the skills of extracting metadata and parsing complex data structures into actionable reports. Most importantly, you will have developed a foundation upon which to build as you continue to learn Python and enhance your efficacy as an investigator. What you will learn Learn how to develop Python scripts to solve complex forensic problems Build scripts using an iterative design Design code to accommodate present and future hurdles Leverage built-in and community-sourced libraries Understand the best practices in forensic programming Learn how to transform raw data into customized reports and visualizations Create forensic frameworks to automate analysis of multiple forensic artifacts Conduct effective and efficient investigations through programmatic processing Who this book is forIf you are a forensics student, hobbyist, or professional seeking to increase your understanding in forensics through the use of a programming language, then Learning Python for Forensics is for you. You are not required to have previous experience in programming to learn and master the content within this book. This material, created by forensic professionals, was written with a unique perspective and understanding for examiners who wish to learn programming. 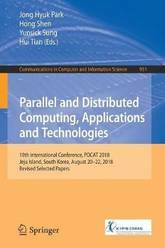 This book constitutes the refereed proceedings of the 19th International Conference on CParallel and Distributed Computing, Applications and Technologies, PDCAT 2018, held in Jeju Island, South Korea, in August 2018. The 35 revised full papers presented along with the 14 short papers and were carefully reviewed and selected from 150 submissions. The papers of this volume are organized in topical sections on wired and wireless communication systems, high dimensional data representation and processing, networks and information security, computing techniques for efficient networks design, electronic circuits for communication systems. 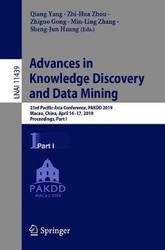 The three-volume set LNAI 11439, 11440, and 11441 constitutes the thoroughly refereed proceedings of the 23rd Pacific-Asia Conference on Knowledge Discovery and Data Mining, PAKDD 2019, held in Macau, China, in April 2019. The 137 full papers presented were carefully reviewed and selected from 542 submissions. 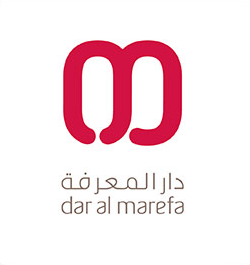 The papers present new ideas, original research results, and practical development experiences from all KDD related areas, including data mining, data warehousing, machine learning, artificial intelligence, databases, statistics, knowledge engineering, visualization, decision-making systems, and the emerging applications. They are organized in the following topical sections: classification and supervised learning; text and opinion mining; spatio-temporal and stream data mining; factor and tensor analysis; healthcare, bioinformatics and related topics; clustering and anomaly detection; deep learning models and applications; sequential pattern mining; weakly supervised learning; recommender system; social network and graph mining; data pre-processing and feature selection; representation learning and embedding; mining unstructured and semi-structured data; behavioral data mining; visual data mining; and knowledge graph and interpretable data mining. Uncovering the class conflicts, geopolitical dynamics, and aggressive capitalism propelling the militarization of the internet Global surveillance, computational propaganda, online espionage, virtual recruiting, massive data breaches, hacked nuclear centrifuges and power grids-concerns about cyberwar have been mounting, rising to a fever pitch after the alleged Russian hacking of the U.S. presidential election and the Cambridge Analytica scandal. Although cyberwar is widely discussed, few accounts undertake a deep, critical view of its roots and consequences. Analyzing the new militarization of the internet, Cyberwar and Revolution argues that digital warfare is not a bug in the logic of global capitalism but rather a feature of its chaotic, disorderly unconscious. 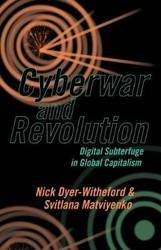 Urgently confronting the concept of cyberwar through the lens of both Marxist critical theory and psychoanalysis, Nick Dyer-Witheford and Svitlana Matviyenko provide a wide-ranging examination of the class conflicts and geopolitical dynamics propelling war across digital networks. Investigating the subjectivities that cyberwar mobilizes, exploits, and bewilders, and revealing how it permeates the fabric of everyday life and implicates us all in its design, this book also highlights the critical importance of the emergent resistance to this digital militarism-hacktivism, digital worker dissent, and off-the-grid activism-for effecting different, better futures. This book covers and makes four major contributions: 1) analyzing and surveying the pros and cons of current approaches for identifying rumor sources on complex networks; 2) proposing a novel approach to identify rumor sources in time-varying networks; 3) developing a fast approach to identify multiple rumor sources; 4) proposing a community-based method to overcome the scalability issue in this research area. These contributions enable rumor source identification to be applied effectively in real-world networks, and eventually diminish rumor damages, which the authors rigorously illustrate in this book. In the modern world, the ubiquity of networks has made us vulnerable to various risks. For instance, viruses propagate throughout the Internet and infect millions of computers. Misinformation spreads incredibly fast in online social networks, such as Facebook and Twitter. Infectious diseases, such as SARS, H1N1 or Ebola, have spread geographically and killed hundreds of thousands people. In essence, all of these situations can be modeled as a rumor spreading through a network, where the goal is to find the source of the rumor so as to control and prevent network risks. So far, extensive work has been done to develop new approaches to effectively identify rumor sources. However, current approaches still suffer from critical weaknesses. The most serious one is the complex spatiotemporal diffusion process of rumors in time-varying networks, which is the bottleneck of current approaches. The second problem lies in the expensively computational complexity of identifying multiple rumor sources. The third important issue is the huge scale of the underlying networks, which makes it difficult to develop efficient strategies to quickly and accurately identify rumor sources. These weaknesses prevent rumor source identification from being applied in a broader range of real-world applications. This book aims to analyze and address these issues to make rumor source identification more effective and applicable in the real world. The authors propose a novel reverse dissemination strategy to narrow down the scale of suspicious sources, which dramatically promotes the efficiency of their method. The authors then develop a Maximum-likelihood estimator, which can pin point the true source from the suspects with high accuracy. For the scalability issue in rumor source identification, the authors explore sensor techniques and develop a community structure based method. Then the authors take the advantage of the linear correlation between rumor spreading time and infection distance, and develop a fast method to locate the rumor diffusion source. Theoretical analysis proves the efficiency of the proposed method, and the experiment results verify the significant advantages of the proposed method in large-scale networks. This book targets graduate and post-graduate students studying computer science and networking. Researchers and professionals working in network security, propagation models and other related topics, will also be interested in this book. Spring Framework has been making Java developers more productive and successful for over a dozen years, and it shows no signs of slowing down! 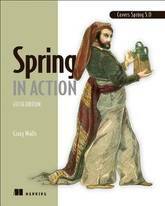 Spring in Action, 5th Edition is the fully-updated revision of Manning's bestselling Spring in Action. This new edition includes all Spring 5.0 updates, along with new examples on reactive programming, Spring WebFlux, and microservices. Readers will also find the latest Spring best practices, including Spring Boot for application setup and configuration. Key Features * Developing reactive applications with Spring * Building applications with Spring and Spring Boot * Spring MVC for web apps and RESTful web services * Writing Spring-enabled data repositories Audience Written for intermediate Java developers. Author Bio Craig Walls is a software developer at Pivotal. He's a popular author and frequent speaker at user groups and conferences. 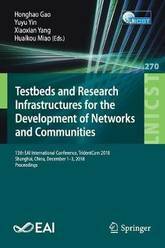 This book constitutes the refereed post-conference proceedings of the 13th EAI International Conference on Testbeds and Research Infrastructures for the Development of Networks and Communications, TridentCom 2018, held in November 2018 in Shanghai, China. The 10 full papers were selected from 29 submissions and are grouped into three sessions: wireless and testbed application; uncertainty analytics and formal verification; knowledge graph. This book constitutes the thoroughly refereed post-conference proceedings of the 4th International Workshop on the Security of Industrial Control Systems and Cyber-Physical Systems, CyberICPS 2018, and the Second International Workshop on Security and Privacy Requirements Engineering, SECPRE 2018, held in Barcelona, Spain, in September 2018, in conjunction with the 23rd European Symposium on Research in Computer Security, ESORICS 2018. The CyberICPS Workshop received 15 submissions from which 8 full papers were selected for presentation. They cover topics related to threats, vulnerabilities and risks that cyber-physical systems and industrial control systems face; cyber attacks that may be launched against such systems; and ways of detecting and responding to such attacks. From the SECPRE Workshop 5 full papers out of 11 submissions are included. The selected papers deal with aspects of security and privacy requirements assurance and evaluation; and security requirements elicitation and modelling. This book constitutes the refereed proceedings of the 17th International Workshop on Digital Forensics and Watermarking, IWDW 2018, held on Jeju Island, Korea, in October 2018.The 25 papers presented in this volume were carefully reviewed and selected from 43 submissions. The contributions are covering the following topics: deep neural networks for digital forensics; steganalysis and identification; watermarking; reversible data hiding; steganographic algorithms; identification and security; deep generative models for forgery and its detection. This book constitutes the refereed proceedings of the 15th International Conference on Economics of Grids, Clouds, Systems, and Services, GECON 2018, held in Pisa, Italy, in September 2018. The 21 full papers and 9 short papers presented together with 1 invited talk were carefully reviewed and selected from 40 submissions.This GECON 2018 proceedings was structured in three special sessions on selected topics, namely: IT service ecosystems enabled through emerging digital technologies; machine learning, cognitive systems and data science for system management; and blockchain technologies and economics. 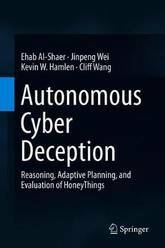 This textbook surveys the knowledge base in automated and resilient cyber deception. It features four major parts: cyber deception reasoning frameworks, dynamic decision-making for cyber deception, network-based deception, and malware deception. An important distinguishing characteristic of this book is its inclusion of student exercises at the end of each chapter. 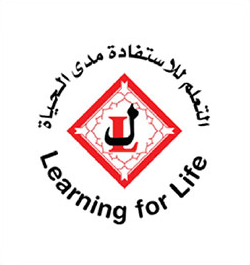 Exercises include technical problems, short-answer discussion questions, or hands-on lab exercises, organized at a range of difficulties from easy to advanced,. This is a useful textbook for a wide range of classes and degree levels within the security arena and other related topics. It's also suitable for researchers and practitioners with a variety of cyber security backgrounds from novice to experienced. 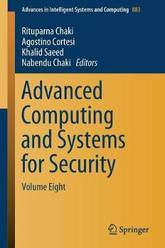 The book includes extended versions of selected papers discussed and presented at the 5th International Doctoral Symposium on Applied Computation and Security Systems (ACSS 2018) held in Kolkata, India on February 9-11, 2018. The symposium was organized by the University of Calcutta's Department of Computer Science & Engineering and A. K. Choudhury School of Information Technology, and the International partners were Ca Foscari University of Venice, Italy and Bialystok University of Technology, Poland. Reflect the symposium's sessions, the book discusses topics such as biometrics, image processing, pattern recognition, algorithms, cloud computing, wireless sensor networks and security systems. 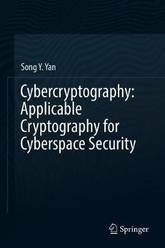 This book provides the basic theory, techniques, and algorithms of modern cryptography that are applicable to network and cyberspace security. It consists of the following nine main chapters: Chapter 1 provides the basic concepts and ideas of cyberspace and cyberspace security, Chapters 2 and 3 provide an introduction to mathematical and computational preliminaries, respectively. Chapters 4 discusses the basic ideas and system of secret-key cryptography, whereas Chapters 5, 6, and 7 discuss the basic ideas and systems of public-key cryptography based on integer factorization, discrete logarithms, and elliptic curves, respectively. Quantum-safe cryptography is presented in Chapter 8 and offensive cryptography, particularly cryptovirology, is covered in Chapter 9. This book can be used as a secondary text for final-year undergraduate students and first-year postgraduate students for courses in Computer, Network, and Cyberspace Security. Researchers and practitioners working in cyberspace security and network security will also find this book useful as a reference. Use this unique book to leverage technology when conducting offensive security engagements. You will understand practical tradecraft, operational guidelines, and offensive security best practices as carrying out professional cybersecurity engagements is more than exploiting computers, executing scripts, or utilizing tools. Professional Red Teaming introduces you to foundational offensive security concepts. The importance of assessments and ethical hacking is highlighted, and automated assessment technologies are addressed. The state of modern offensive security is discussed in terms of the unique challenges present in professional red teaming. Best practices and operational tradecraft are covered so you feel comfortable in the shaping and carrying out of red team engagements. Anecdotes from actual operations and example scenarios illustrate key concepts and cement a practical understanding of the red team process. You also are introduced to counter advanced persistent threat red teaming (CAPTR teaming). This is a reverse red teaming methodology aimed at specifically addressing the challenges faced from advanced persistent threats (APTs) by the organizations they target and the offensive security professionals trying to mitigate them. What You'll Learn Understand the challenges faced by offensive security assessments Incorporate or conduct red teaming to better mitigate cyber threats Initiate a successful engagement Get introduced to counter-APT red teaming (CAPTR) Evaluate offensive security processes Who This Book Is For Offensive security assessors and those who want a working knowledge of the process, its challenges, and its benefits. 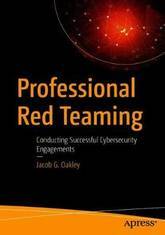 Current professionals will gain tradecraft and operational insight and non-technical readers will gain a high-level perspective of what it means to provide and be a customer of red team assessments. Take a practioner's approach in analyzing the Internet of Things (IoT) devices and the security issues facing an IoT architecture. You'll review the architecture's central components, from hardware communication interfaces, such as UARTand SPI, to radio protocols, such as BLE or ZigBee. You'll also learn to assess a device physically by opening it, looking at the PCB, and identifying the chipsets and interfaces. You'll then use that information to gain entry to the device or to perform other actions, such as dumping encryption keys and firmware. As the IoT rises to one of the most popular tech trends, manufactures need to take necessary steps to secure devices and protect them from attackers. 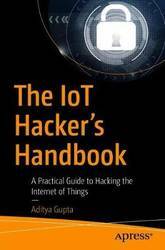 The IoT Hacker's Handbook breaks down the Internet of Things, exploits it, and reveals how these devices can be built securely. What You'll Learn Perform a threat model of a real-world IoT device and locate all possible attacker entry points Use reverse engineering of firmware binaries to identify security issues Analyze,assess, and identify security issues in exploited ARM and MIPS based binaries Sniff, capture, and exploit radio communication protocols, such as Bluetooth Low Energy (BLE), and ZigBee Who This Book is For Those interested in learning about IoT security, such as pentesters working in different domains, embedded device developers, or IT people wanting to move to an Internet of Things security role. This book constitutes thoroughly reviewed, revised and selected papers from the 4th International Conference on Human Centered Computing, HCC 2018, held in Merida, Mexico, in December 2018. The 50 full and 18 short papers presented in this volume were carefully reviewed and selected from a total of 146 submissions. 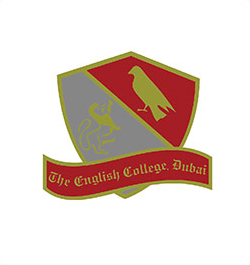 They focus on a hyper-connected world , dealing with new developments in artificial intelligence, deep learning, brain-computing, etc. This is the first book that uses cyber-vulnerability data to explore the vulnerability of over four million machines per year, covering a two-year period as reported by Symantec. Analyzing more than 20 billion telemetry reports comprising malware and binary reputation reports, this book quantifies the cyber-vulnerability of 44 countries for which at least 500 hosts were monitored. Chapters explain the context for this data and its impact, along with explaining how the cyber-vulnerability is calculated. 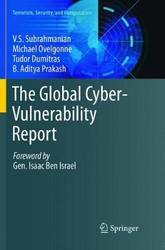 This book also contains a detailed summary of the cyber-vulnerability of dozens of nations according to the percentage of infected hosts and number of infections. It identifies relationships between piracy rates, GDP and other country indicators. The book contains detailed information about potential cyber-security policies that 44 countries have announced, as well as an analysis of gaps in cyber-security policies in general. The Global Cyber-Vulnerability Report targets researchers and professionals including government and military workers, policy-makers and law-makers working in cybersecurity or the web intelligence fields. Advanced-level students in computer science will also find this report valuable as a reference. This book constitutes revised selected papers from the 10th International Workshop on Constructive Side-Channel Analysis and Secure Design, COSADE 2019, held in Darmstadt, Germany, in April 2019. The 14 papers presented together with one keynote and one invited talk in this volume were carefully reviewed and selected from 34 submissions. 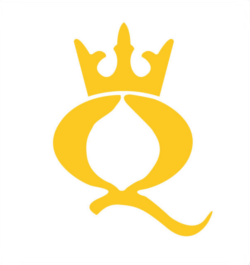 They were organized in topical sections named: Side-Channel Attacks; Fault-Injection Attacks; White-Box Attacks; Side-Channel Analysis Methodologies; Security Aspects of Post-Quantum Schemes; and Countermeasures Against Implementation Attacks. Businesses constantly face online hacking threats or security breaches in their online mainframe that expose sensitive information to the wrong audience. Companies look to store their data in a separate location, distancing the availability of the information and reducing the risk of data breaches. Modern organizations need to remain vigilant against insider attacks, cloud computing risks, and security flaws within their mainframe. 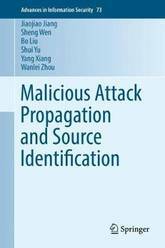 Detection and Mitigation of Insider Attacks in a Cloud Infrastructure: Emerging Research and Opportunities is an essential reference source that discusses maintaining a secure management of sensitive data, and intellectual property and provides a robust security algorithm on consumer data. 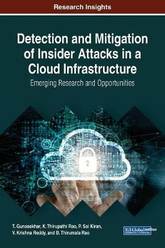 Featuring research on topics such as public cryptography, security principles, and trustworthy computing, this book is ideally designed for IT professionals, business managers, researchers, students, and professionals seeking coverage on preventing and detecting the insider attacks using trusted cloud computing techniques. 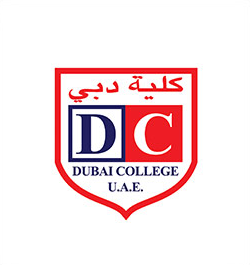 Student assessment in online learning is submitted remotely without any face-to-face interaction, and therefore, student authentication is widely seen as one of the major challenges in online examination. Authentication is the process of determining whether someone or something is, in fact, who or what it is declared to be. 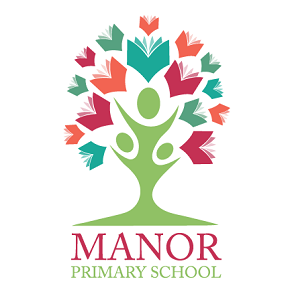 As the dependence upon computers and computer networks grows, especially within education, the need for authentication has increased. Biometric Authentication in Online Learning Environments provides innovative insights into biometrics as a strategy to mitigate risk and provide authentication, while introducing a framework that provides security to improve e-learning and on-line examination by utilizing biometric-based authentication techniques. 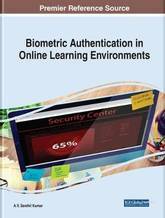 This book examines e-learning, security, threats in online exams, security considerations, and biometric technologies, and is designed for IT professionals, higher education administrators, professors, researchers, business professionals, academicians, and libraries seeking topics centered on biometrics as an authentication strategy within educational environments.